When we have lavish treats at iftar and Sehar and fill our appetite just after hours of hunger, we cannot deny the fact that many of us living on this same earth suffering because of no food. It is reported that hundreds of people in Islamabad got gastro due to unhygienic situations and food. While there are many who got stomach issues due to over eating. Food is abundance in here but in some parts if the world people are caught by diseases caused by no or poor quality of food. There is a new disease born with poverty, named " Noma"; which is causing skin infection in teenagers of hunger strike countries. nurse who works for or the Swiss NGO Sentinelles, active in Niger since 1992, Fati Badamasi told international newspaper "Noma is caused by malnutrition and a lack of hygiene, it is a disease born of poverty. Well, in Niger there is plenty of poverty." Niger is prone to food crises and holds the lowest place on the comprehensive Human Development Index drawn up each year by the United Nations Development Programme. The birth rate is nonetheless a record 7.6 babies per woman, according to the UN, but in June 2014 more than 15 percent of children under five were famished. Between 4,000 and 6,000 infants die of malnutrition each year. 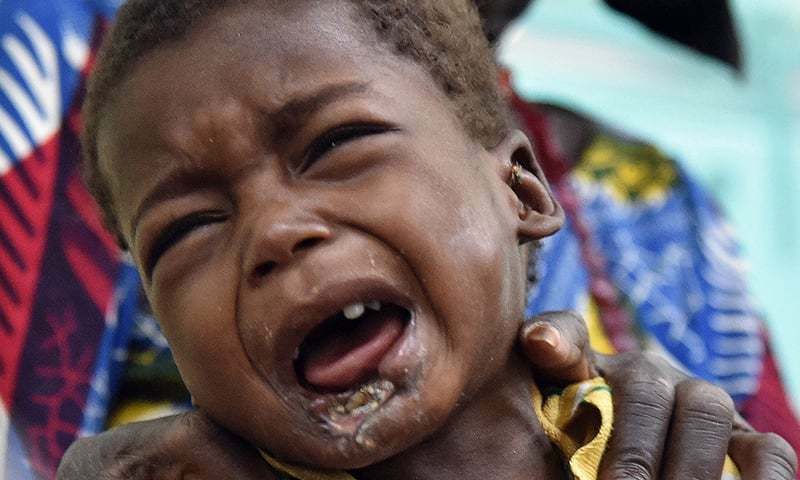 Most African countries have faced noma, like Laos in Asia and some South American nations, but Niger accounts for a large part of the 140,000 to 180,000 people infected every year worldwide, according to the UN World Health Organization, whose last complete data dates from 1998. "The problem is that this is a very fast-acting disease," she said. The skin becomes as if its eaten away and many are target of this disease. We should at least once think how we mishandle that food and how many among us are devastated by no food.